In 2014 the first report in the Bankwest Curtin Economics Centre’s Focus on Western Australia series highlighted the abnormally high growth rate enjoyed by the state in the early years of the new millennium. 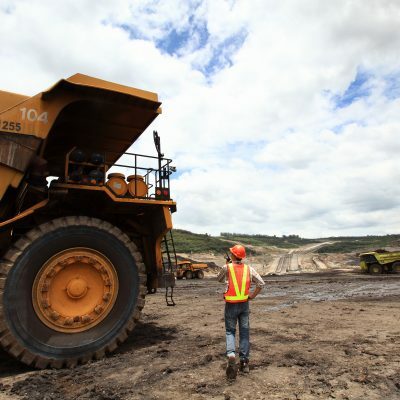 This extended period of economic growth was driven primarily by the state’s mining boom. It gave rise to unprecedented growth in Western Australia’s economy, with the annual growth rate of WA’s gross state product spiking at 9 per cent in 2011-12. However, the economic outlook post-2012 is very different. By 2015, the state’s GSP growth rate had slid to 3.5 per cent and the gap between the state and nation’s economic growth rate had narrowed. 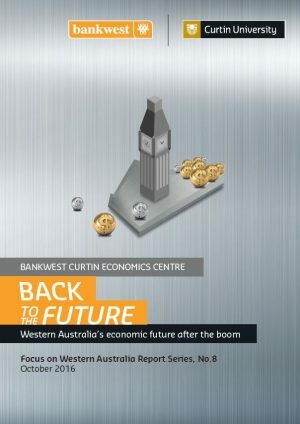 Back to the Future is the eighth report in the Bankwest Curtin Economics Centre’s Focus on Western Australia series. Using the latest data available, this report examines recent changes in the state’s economic trends following the tailing off of the resources boom. 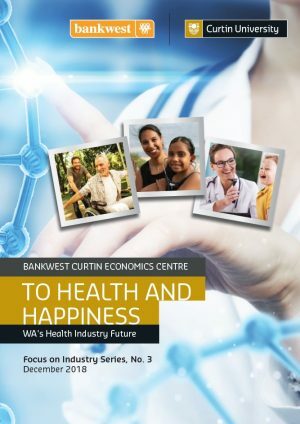 It identifies the implications of these trends for the wellbeing of West Australian households, and sheds light on the challenges and opportunities that have arisen along with changes in the state’s economic position. It represents a timely follow up to the Centre’s first Focus on Western Australia report in 2014 – Sharing the Boom – which explored the distribution of income and wealth over the course of the latest resources boom, and examined the extent to which the wealth of WA was shared among those who live here. This new report examines the extent to which WA has been undergoing an economic downturn in recent years. How has income and wealth inequality changed since the peak of the mining boom? Have prices and cost of living in WA fallen in line with incomes and wealth? How does WA compare with the rest of the states and territories? Have the recent changes in economic conditions negatively affected opportunities in the labour markets for West Australians? On the other hand, are we starting to see more industry diversification outside the resources sector? 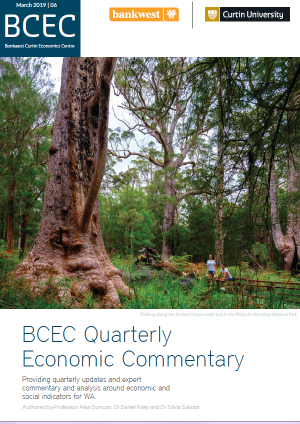 This report shows that after a prolonged period of economic bonanza driven by the resources boom, WA’s economic trajectory has returned to a ‘new normal’ more consistent with national economic growth rates. 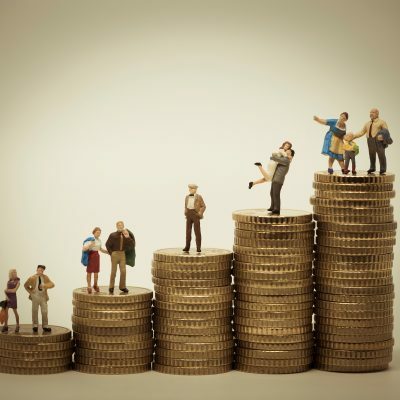 However, the reversion in the state’s economic fortunes has undoubtedly had significant impacts on the economic and social wellbeing of West Australians. 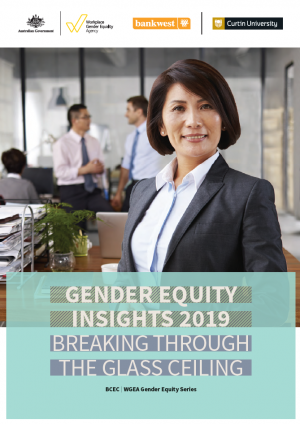 There has been a shift away from full-time towards part-time employment, underemployment is on the rise, and feelings of job insecurity are more prevalent than before. The state has also experienced a net population outflow as its economic performance declined. However, the recent economic slowdown has also resulted in some positive outcomes, including a narrowing of the gap between the rich and poor in WA and a general easing of cost of living pressures in resource-rich regions. While the mining sector has no doubt slowed in recent years, it remains the dominant industry in WA, both in terms of its contribution to production and employment in the state. Signs of industry diversification following the economic slowdown are scarce.